Among the long forgotten Wall Street legends is Bernard Baruch. “Baruch became a broker and then a partner in A.A. Housman & Company. With his earnings and commissions, he bought a seat on the New York Stock Exchange for $19,000 ($552,960 in 2016 dollars). Source: Wikipedia, by Harris & Ewing, photographer. There he amassed a fortune before the age of 30 by profiting from speculation in the sugar market; at that time plantations were booming in Hawaii. By 1903 Baruch had his own brokerage firm and gained the reputation of “The Lone Wolf of Wall Street” because of his refusal to join any financial house. 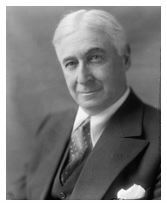 Baruch then became an adviser to Presidents and leaders around the world. 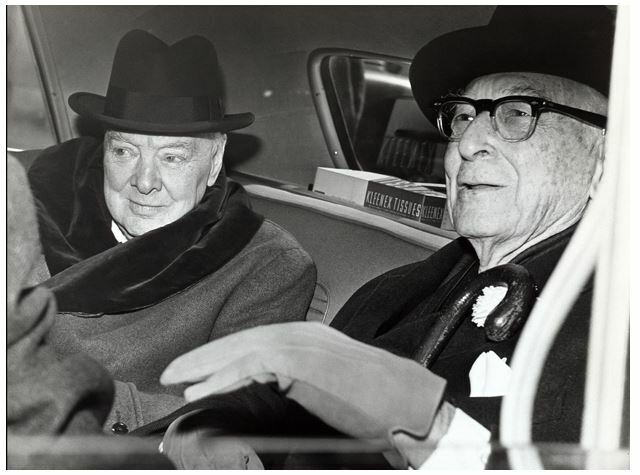 Below, he is shown with Winston Churchill. He often walked or sat in Washington, D.C’s Lafayette Park and in New York City’s Central Park. It was not uncommon for him to discuss government affairs with other people while sitting on a park bench. This became his most famous characteristic. In 1960, on his ninetieth birthday, a commemorative park bench in Lafayette Park across from the White House was dedicated to him by the Boy Scouts and he continued to advise on international affairs until his death in 1965 at the age of 94. Baruch College of City University of New York was named for him. The main purpose of the stock market was to make fools of as many people as possible. There are many variations of this quote and it is often attributed to others. But, this confirms that when it seems like every analyst and every investor is bullish, the market is likely to reverse. The same is true when the number of bears rises to an extreme level. It is all too easy to believe the market is easy to profit from, but it is not, as Baruch knew. When beggars and shoeshine boys, barbers and beauticians can tell you how to get rich it is time to remind yourself that there is no more dangerous illusion than the belief that one can get something for nothing. Investing is hard work. It always has been and always will be. But, many investors believe it is easy to profit in the market, especially after a bull market. No matter what the market conditions, profits are only available through hard work. Don’t try to buy at the bottom and sell at the top. This can’t be done – except by liars. Here Baruch is reminding us that there is plenty of profit from the middle of the trend. This means it is okay to wait for a trend to be established before buying and it is fine to use profit targets to sell. Charles Dow, the founder of the Dow Jones Industrial Average and The Wall Street Journal, noted that a trader could be profitable targeting the middle third of the trend. The beginning and the end of the trend are spots where risks are high. Whatever men attempt, they seem driven to overdo. When hopes are soaring, I always repeat to myself that two and two still make four. This tells us that bubbles are an unavoidable part of human nature. They will happen, but that doesn’t mean we, as investors, must participate. Don’t buy too many different securities. Better to have only a few investments which can be watched. This is often forgotten by investors especially in bubbles. They may assume if one tech stock is good, then twenty must be great. It is best to work hard and target finding only the very best stocks. Always keep a good part of your capital in a cash reserve. Never invest all of your funds. Cash is an asset that lets many investors sleep at night. It makes sense to have three or six months’ worth of living expenses as savings set aside in cash, not in the market since a crash could reduce three months of savings to less than one months of living expenses. Piece of mind is an invaluable asset because when we have cash, we are less prone to panic in the market. Learn how to take your losses quickly and cleanly. Don’t expect to be right all the time. If you have made a mistake, cut your losses as quickly as possible. Other investors have noted that the trend is your friend and academic studies have demonstrated that trends can be persistent. That means when a stock is falling, it is likely to continue falling. In the stock market one quickly learns how important it is to act swiftly. This was on display recently when prices in the S&P 500 began falling quickly. But, many investors ignored warning signs of the market’s decline. They were trying to sell at the top, and many have large losses now. Now, it is true we all want big profits. But, the truth is taking small profits every week could be a path to riches. There really is only one Warren Buffett who created billions in wealth focusing on the long term. For many, millions in wealth would be sufficient and taking gains could help do that. It is one thing to make money and another thing to keep it. In fact, making money is often easier than keeping it. This idea ties into taking losses and avoiding adding to investments in bubbles. Shifting some profits to cash could be another strategy for keeping wealth. With this, Baruch is telling us to watch the market action rather than trying to outsmart the market action. These quotes all offer advice that is still useful today. Baruch is an investor worth studying for those interested in accumulating wealth rather than chasing bubbles and suffering large losses in bear markets.